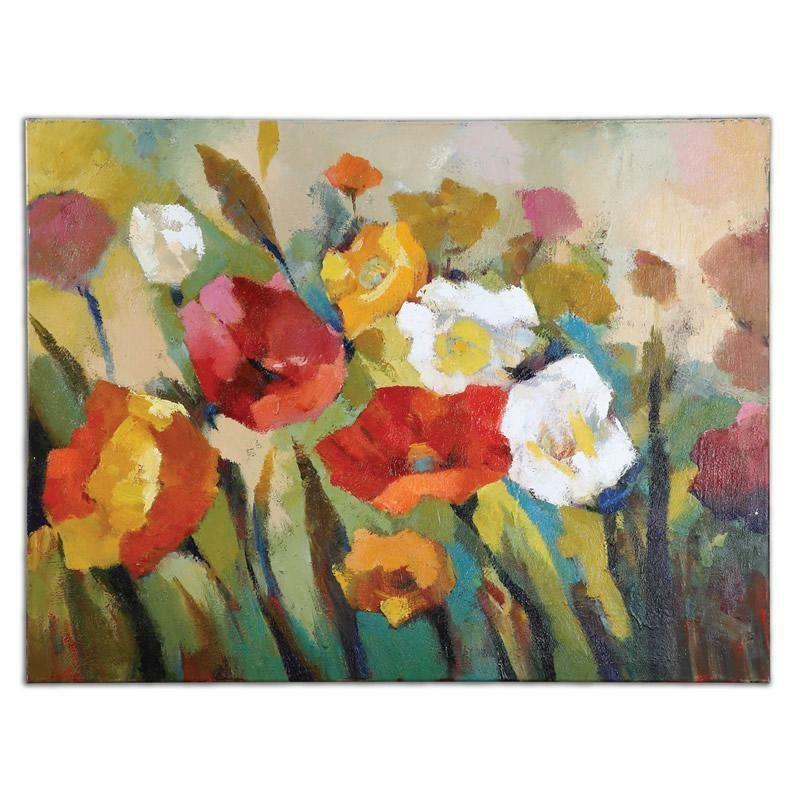 This vibrant burst of spring color has been hand painted on canvas. The canvas is then stretched and applied to wooden stretching bars. 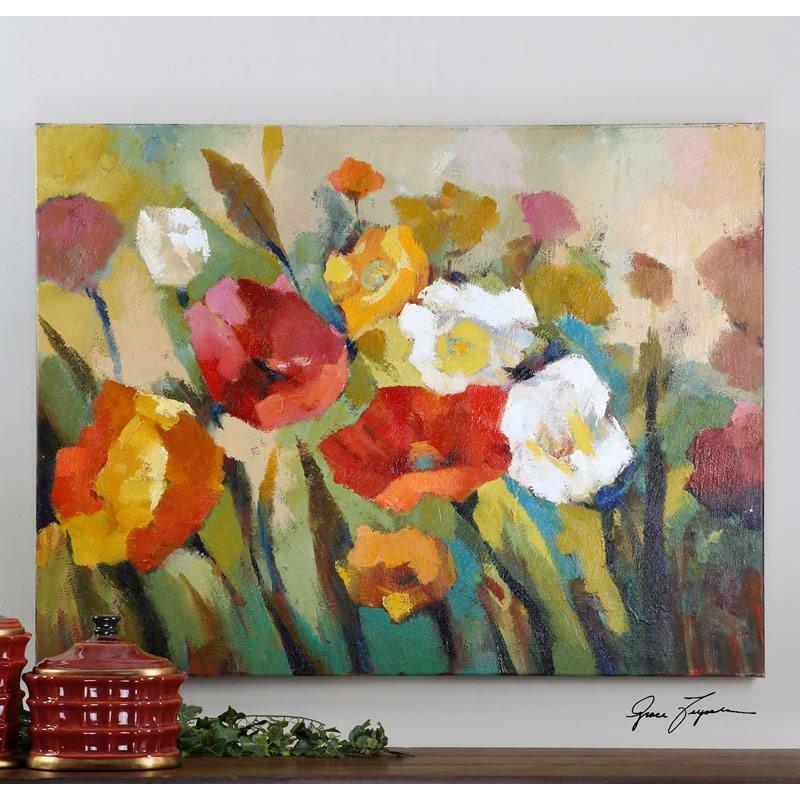 Due to the handcrafted nature of this artwork, each piece may have subtle differences.